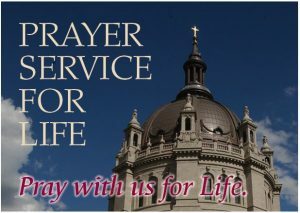 On January 14, 2019, thousands of Catholics across the country will join in prayer for “9 Days for Life.” The prayer campaign, sponsored by the Committee on Pro Life Activities of the United States Conference of Catholic Bishops, leads up to the annual Day of Prayer for the Legal Protection of Unborn Children. The novena and day of prayer are a time of recollection and reparation in observation of the anniversary of Roe v. Wade–the Supreme Court decision that made abortion legal throughout the United States. The overarching intention of the novena is that all human life will be respected. Each day of the “9 Days for Life” novena highlights a related topic and provides a reflection, educational information, and suggested daily actions. 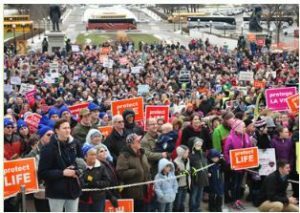 Since 2013 over 100,000 Catholics have joined together to pray this annual novena for the respect of human life sponsored by the Committee on Pro-Life Activities of the United States Conference of Catholic Bishops. Through prayer and sacrifice, we can help build a culture of life. 9daysforlife.com is the dedicated website for joining the novena and for accessing resources. Participants can receive the novena by downloading the free 9 Days for Life app, or by subscribing to daily emails or text messages. (A printable version is also available online.) Those who join the campaign are invited to pray a multi-faceted novena that includes a new intention, brief reflection, related information, and suggested actions for each day. F or additional information and updates on ways to get involved, please visit 9daysforlife.com and follow us on Twitter, Facebook and Instagram.